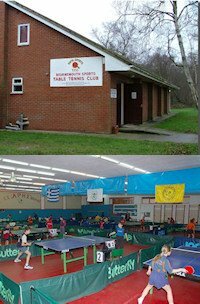 People Plus Table Tennis Club is in Brunswick, Maine, USA. Our location is 35 Union Street, Brunswick, Maine. We are mostly older retired folks ... because of the hours that we are open. We play for fun and entertainment, though the flame of competition does still burn. We welcome any players. Nothing pleases us better than beating the pants off the young pups. That being said, some of us are good (within top 20 in the state and many winners in the Senior games) and others trying to return to much earlier times of glory. We particularly like good players to show us how it is really done. We have 2 tables and typically 4-8 players per day. Our room is in excellent condition. Mostly we play doubles so that all can play, though singles may happen when the numbers or preferences break that way. Our club has been going for over 10 years. We do not have competitions ... for that there is the Lewiston based "Maine Table Tennis League" and the state competitions. Mostly we just have a lot of fun. The People Plus organization welcomes all with an emphasis on older folks and teens. Cost of membership in People Plus is $35-45 / year. The People Plus general phone number is: 207-729-0757. 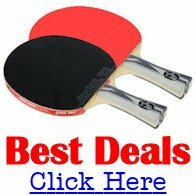 For more information on Table Tennis there, call Steve Winter on 207-443-3623.